Please join us for Suicide Prevention Night at Citizens Bank Park on Saturday, April 27, 2019, to cheer on the Phillies against the Miami Marlins at 6:05 p.m. Let’s shatter our top attendance record of over 850 attendees specifically signed up for suicide prevention night. 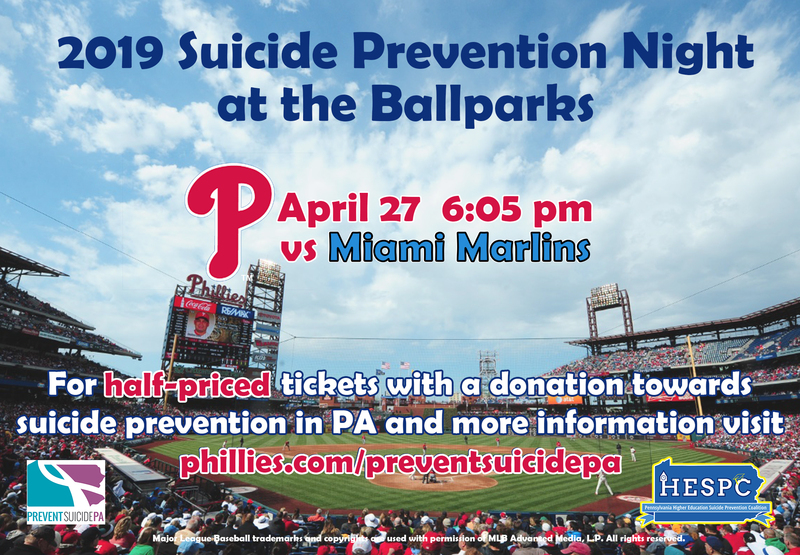 Come out and join Prevent Suicide PA and the Harrisburg Senators for a great cause and a fun night at the ballpark as the Senators take on the Trenton Thunder at FNB Field on City Island (Pennsylvania) on May 3rd at 7:00 pm. Tickets are $11.00 each and $4.00 of each sale goes directly towards suicide prevention efforts in Pennsylvania! We hope to see you there! Click below to purchase your tickets. Tickets cost $11 each and $4 from each ticket sold goes to support suicide prevention in PA! 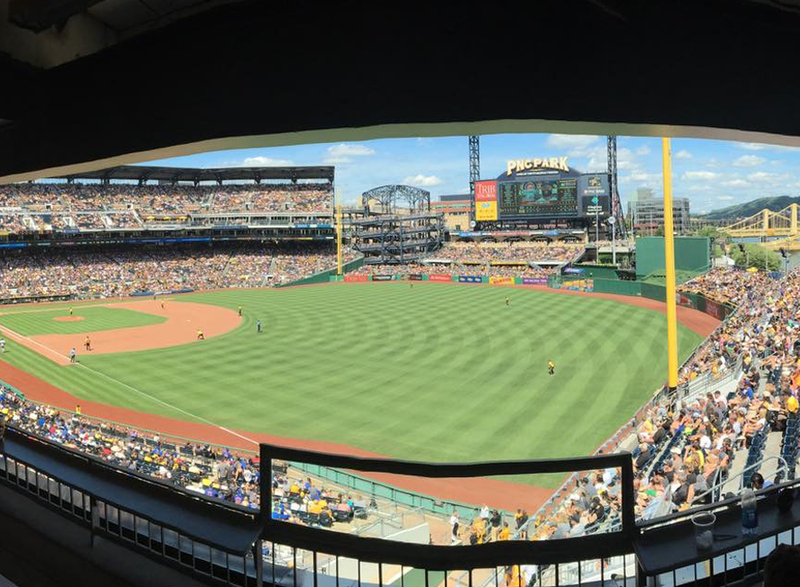 The Pittsburgh Pirates along with Prevent Suicide PA and the American Foundation for Suicide Prevention invite you to join us for Suicide Prevention Awareness Night at PNC Park! Come out and watch the Pirates take on the Oakland Athletics while raising awareness for suicide prevention on May 4th at 7:05 pm! 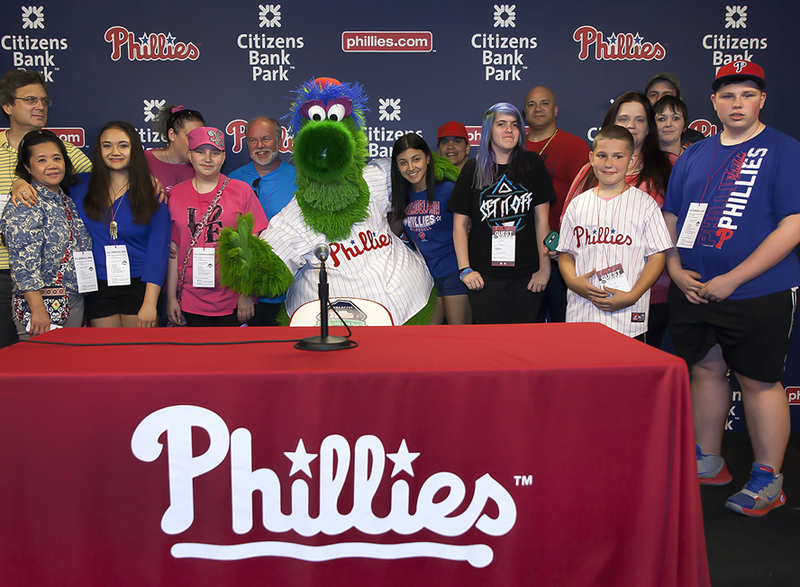 $5 from each ticket goes towards suicide prevention in PA. Click below to purchase tickets! Click to download a printable image to promote Suicide Prevention Night at the Philadelphia Phillies on April 27, 2019. This is a high res version for printing. 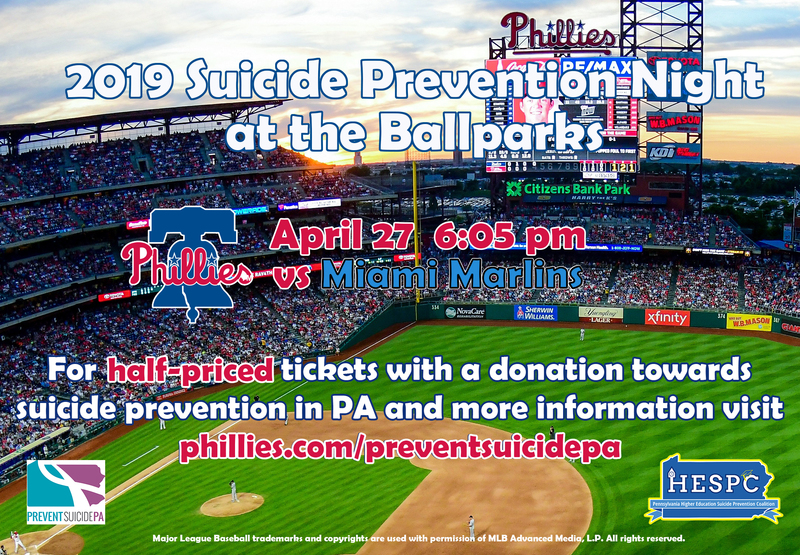 Click to download a digital image to promote Suicide Prevention Night at the Philadelphia Phillies on April 27, 2019. This is a lo res version, best for use in email or on social media.